Thank you for visiting the Baylor Department of Public Safety’s website. The members of the Department are committed to serving all the constituents that comprise Baylor University. The members of the Department take great pride in providing all community members with exemplary law enforcement, emergency management, and fire safety services. Our hope is that the information provided on this site will help you understand our role in providing a safe and secure environment for students, faculty, staff and guests to work, pursue academic endeavors, and participate in leisure activities. Part of Baylor University’s uniqueness is that we truly are a caring community. In that light you also have a role to play in keeping our community safe. When you apply personal safety strategies, get involved by calling the Police Department when you observe a crime or suspicious circumstances, or report unsafe conditions, you are supporting the Department of Public Safety’s mission. 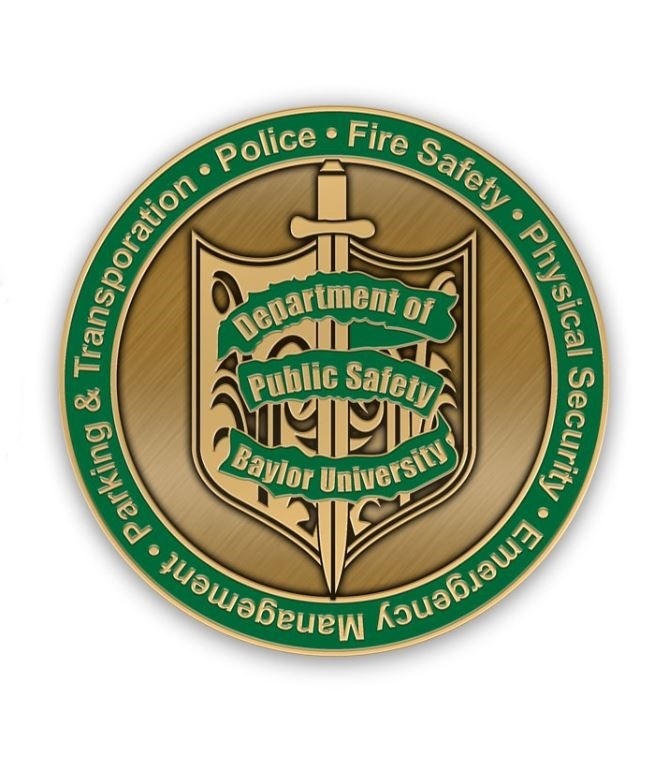 The members of the Baylor Department of Public Safety wish you success in all your future endeavors at Baylor University. "To establish and implement a comprehensive, sustainable security platform that will effectively serve the Baylor University community and protect its students, faculty, and stakeholders from harm and/or embarrassment."